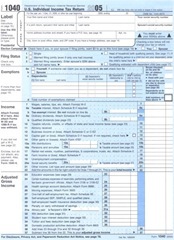 March is just around the corner, which means we are entering the heart of tax season. 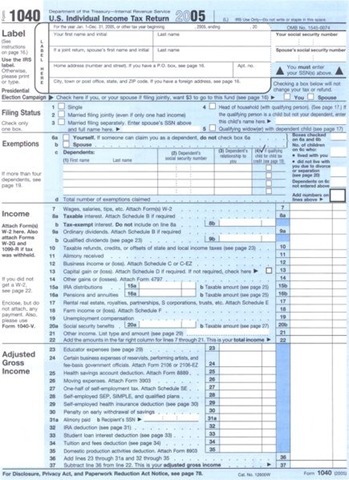 Time to gather those 1099s, fire up the old TurboTax, and wonder how we can possibly pay Uncle Sam less money next time. So ’tis the season to think about, and write about, schemes and tricks to minimize your tax bill. For example, the AP ran an item the other day discussing the rather unlikely maneuver of teenagers opening Roth IRAs. It’s an idea with some intuitive appeal. As readers of this blog know, Roths are attractive if you believe that the tax rate paid today is likely to be lower than what will be paid when the money is withdrawn from the IRA. A teenager with a tiny income, and thus a low marginal tax rate, certainly qualifies. And there is the tremendous emotional appeal of "the magic of compounding" that miracle of mathematics that will drastically increase the IRA balance during the very long journey to retirement. Even with only 5% annual return, after 50 years $1 would grow to $11.46. Imagine how grateful your child will be when they retire and realize the foresight you had in making them save way back in 2010. And the child has to earn the money in a real bona fide job, preferably with W-2s and/or 1099s. The youngster has to file taxes just like a grown-up and pay Social Security and Medicare taxes. You can hire your kid yourself, but you would need to be prepared to demonstrate to an IRS auditor that it was a real job that involved real work and that you paid a reasonable wage for it. (No paying Junior $5000 to wash your car once a month.) More importantly, payroll taxes would have to be paid on the child’s income, so if your only goal is to stash some cash in your child’s Roth this is a poor idea. But many high schoolers do have real part-time jobs, as grocery baggers, waitresses, lifeguards, runway models, etc. You don’t need to force them to save this income. You can give them the money to put in an IRA, it just can’t be more than they earned. So is this a good idea for you and your kid? My answer is possibly, but not likely. Young people generally do not save a lot. There are those who attribute this to ignorance or foolishness, but I disagree. It is the natural life cycle of personal finance. Younger folks have significant expenses, low incomes, and an expectation that later in life they will have higher incomes. The rational thing to do under those circumstances is what most of them actually do, go into debt while young and pay it off in middle age. Imagine a sixteen year old who earned $5000 last year. Two years from now he expects to go to college and start acquiring student loans to pay for it. Does setting aside $5000 for retirement rather than borrowing $5000 less for college make any sense? Well it could, if he expected that the interest rates on the student loans would be lower than the return he will make in the IRA. But that is not very likely. More likely, the teenager will want to apply his savings to college. (Actually he’ll want to apply it to a car. His parents will want to apply it to college.) And for that purpose there exist 529 plans. Like a Roth, a 529 allows after-tax contributions to grow tax free. Unlike a Roth, you can withdraw the money to pay for college. And the contribution limits are much higher. Of course, the teenager will miss out on the fifty years of compounding trick, but let’s face it, even if he was grateful, it is doubtful you will be around to be thanked. My father set me up with a Roth when I was in college. That gift got me interested for the first time in investing and in personal finance, and I’ve reaped the benefits ever since. So at least in my case, it was a pretty great idea. Interesting. In Canada, we just got the TFSA in 2009, which is a flat $5000/year regardless of income. The principle and the income earned on it can be deducted at any time, without penalty, but you have to wait until the next year to put it back. Sadly, the $5k doesn’t start until you’re 18. I feel strongly that it should be retroactively put in, so that you get $5k/ year of room for every year over 18 you are. This way we aren’t so penalized, but whatever. Its still a good perk and seems superior to the Roth. If think you overlooked the point: the $5,000 put into the kid’s Roth is almost never the money the kid earned, its a gift the parent gives the kid in addition. It’s just a decent tax minimization strategy. My goal is to take some of the money I was putting into their college upkeep and offer (once they’re graduated and employed) to match what they put in for a couple of years, hopefully to get them started and used to the idea of saving a portion of real income towards more of a future than “new ipod” or “next weekender”. The details will depend on what they’re earning, what their job benifits are, what my situation is, etc. But if I can at least get them putting a little bit long term on a consistent basis, they’ll be doing better than I managed at their age. I was looking into this recently. There are a few things that will make it better. 2. If you own your own business and hire your child to work for you, you don’t have to pay taxes on the money at your rate since it is not profit any longer. If the child makes less than his personal deduction, then you don’t end up paying any taxes on it at all. Except for scholarship money, getting loans and paying them off over time with tax deductible interest (usually at low interest rates) is the best way to fund college. Loan repayment is deferred until college completed and interest is tax-deductable once payment is required. Fund the Roth for the child and get the loans. Have the child help fund college with his earnings if he chooses and help him pay the loans off after college if you wish. He and you will be better off because his education is paid for over time instead of up front and he will have a retirement fund already started. Roths are incredibly flexible since the principle (but not earnings) can be used for any reason at any time so the money could still be available to use if needed for college expenses. Bottom line fund the Roth and take out the loan. I think it’s a good way to get youngsters thinking about saving… but I agree it probably won’t be worth much in the long run. I started my first IRA my first year in college, and put in some money when I had extra. Soon after, I got a job with a 401k that did matching, so I socked away money there instead. Over the past 20 years my IRA didn’t grow by much… it’s a pretty tiny part of my portfolio now. Well OK Frank, let’s see….you don’t like IRA’s for kids, another article stated you don’t like dollar cost averaging in general, another article was against paying off your mortgage, you don’t like Dave Ramsey’s, Phil Town’s or Suze’s investing ideas…well how’s about we have some input on what we CAN invest in. Or let’s have a few sample portfolios… we all know one size doesn’t fit all, but there has to been something that makes sense for a lot of people, even in this market. I wonder how many people actually open Roths for kids under 18? I just can’t fathom saving for your kids retirement. People doing that either have very different priorities than me or lots more money to spare. I would think that helping them save for college would be a clear priority over their retirement. And as Frank says college 529 plans are better for college savings than Roths. If someone is putting money into a Roth for their kid then does that mean they’ve already fully funded 4 years of college on the kids behalf? Or are they putting the kids retirement before the kids college? Also, re: parents paying putting the money in for the kids, when FAFSA time comes, a larger percentage of the kid’s money is considered fair game vs. the parents’ money.